As gross as the name sounds, Duck Farts are one of the best mixed shots I’ve ever had! I got a round of them for free at Rico’s Pub on my birthday this year and fell in love! They are a great creamy, winter shot that’s sure to bring you lots of laughs and a good time! Mix alcohols in this order into a shot glass: Kahlua, Bailey’s, Whiskey. 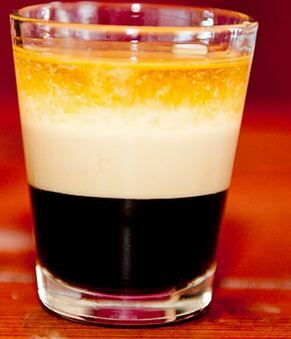 Shots will separate into three distinct and creamy layers. Drink quickly and quack like a duck!